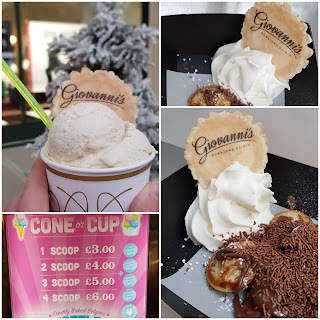 Giovanni's Downtown Gelato Ice Cream in Milton Keynes is a very cute retro truck within Centre:MK and perfect for a sweet treat pick me up whilst shopping. 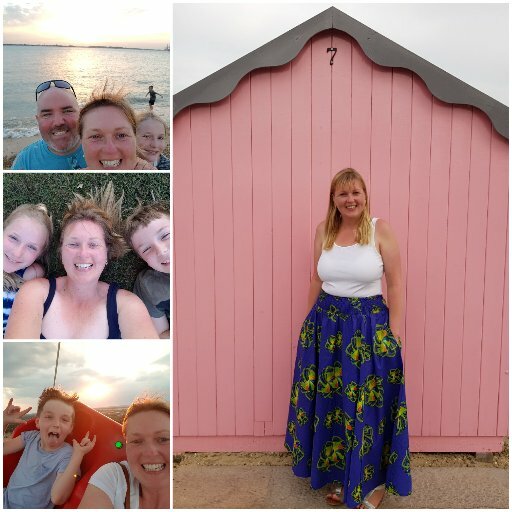 They opened in August 2013 and are a family run business. 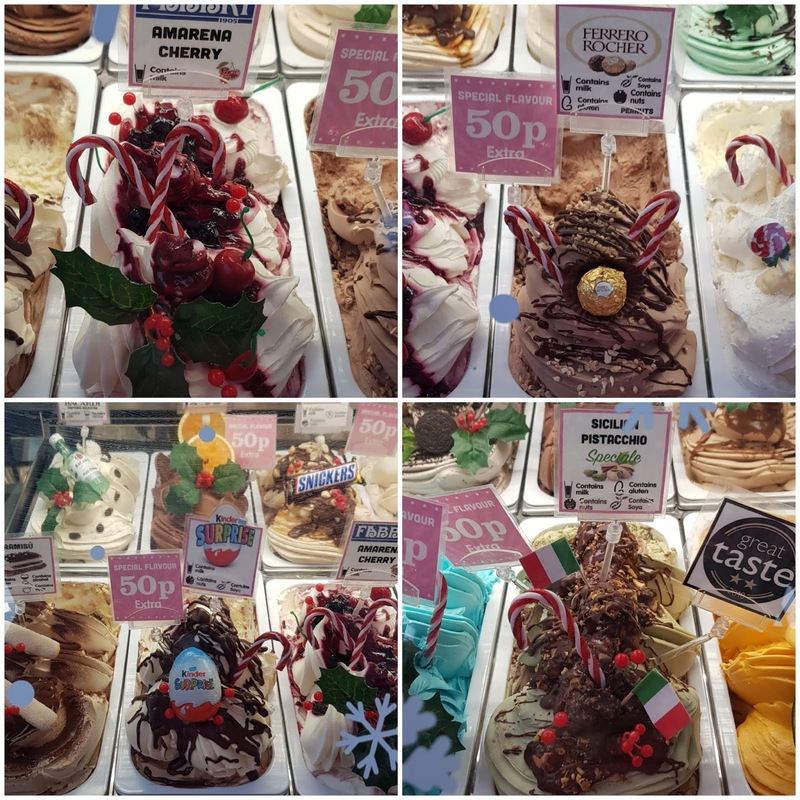 They make over 100 different flavours of Gelato and the presentation is amazing. They state that their Gelato contains 50-60% less fat than normal ice cream and fewer calories. To me this seems to be a win-win situation! The Buone Feste (Happy holidays) range has just been released and GemMedia Marketing kindly invited us along to try it out. Not being from Milton Keynes we found it a little tricky to find but anyone local to Milton Keynes would have no problem. The kiosk is not far from Guest Services and Poundland & The Works are nearby. 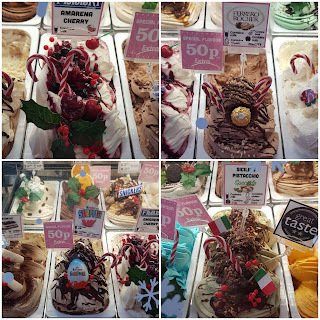 There are sooo many flavours it is hard to choose and the display is really colourful and full of Christmas cheer. After some deliberation we sampled Bailey's (tasted exactly like Bailey's and so creamy - can you tell I like Bailey's!) and Salted Caramel in tubs and Gingerbread and Chocolate Orange in cones. All 4 were delicious. Both children had it smeared around their mouths and gave it a big thumbs up! We were also offered the warm mini pancakes with Nutella which the kids devoured in seconds. I only got 1 as they disappeared so fast. My son would have had seconds and they were definitely a big hit. Giovanni's also do waffles and hot chocolate so it's not just cold treats on offer. Next time I'm in Milton Keynes the kids will definitely want me to take them back. Why not pop by the next time you are shopping in MK? Disclaimer: We tasted these products in exchange for this review. All opinions are 100% honest.